Android is the most advanced and most popular mobile operating system. But, it is not error free as each day, we come across new issues on our Android phone. You might have come across an error which says – ‘Unfortunately the Process com.google.process.gapps Has Stopped‘. Well, no need to panic as in this article, we will be sharing the tips and steps to take if you are getting this error. There are maximum chances that this error will be resolved in a few minutes. So, the steps to fix this error are same for every Android phone, whether it is the latest Samsung device or the years old HTC phone. Without any further delay, let’s jump right into the steps to Fix Unfortunately the Process com.google.process.gapps Has Stopped Error. Since this error is related to Google apps, we all know the Google Play Services is a major part of the Google apps. So basically, head to the Settings. There, you need to tap on ‘Apps’ section. This might be ‘App Manager’ in Samsung phones. Once you are in it, search for the Google Play Services. If you cannot find, make sure the list shows the system apps also. You can do this via the Three dots menu on the top right and then select ‘Show System’. Tap on the Google Play Services and then, clear the cache of the app. 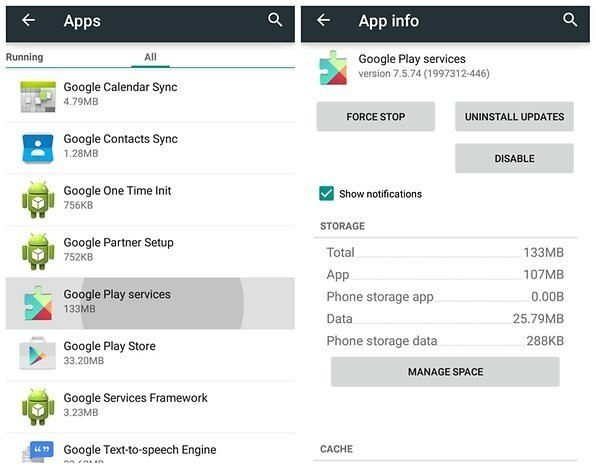 Once done, tap on ‘Manage Space’ and then clear the Data of Google Play Services. So, Google Play Services will now start from the beginning so that there is no un-necessary error or warning. If this step didn’t work, move on to the next one. So, normally, you get this error if you open any particular app. For example, you might get this when you open the Dialer or the Camera app. So, what you need to do is that you have to clear the cache and data of the app in which you are getting the Process com.google.process.gapps Has Stopped Error. Let’ suppose that it is the camera app. So, again head to settings > Apps > Camera and then clear the cache as well as the data. If everything goes right, this will 100% fix the error. CHECK: [FIX] SafetyNet Failed: CTS Profile Mismatch Errors – Full Guide! The steps are same. Go to Settings > Apps > Show System and then clear cache as well as the data of these apps one by one. 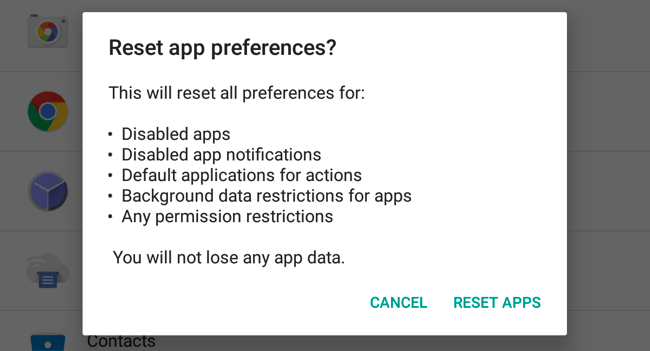 Resetting app preferences means you clear any default app you have selected to do any task. For example, you might have Chrome and Opera browser installed, but Chrome is set as default. Resetting App Preferences removes this, and so you have to choose the default app for any program again. Many users said that this step worked for them so, it might work for you too. Just head to Settings > Apps > All Apps and then, tap on the three dots on the top right. There, you have the option to ‘Reset App Preferences’. Tap on it and it, will reset all defaults. When you see the logo of the phone, let go the Power button but keep pressing & holding the Volume Up and Home key. 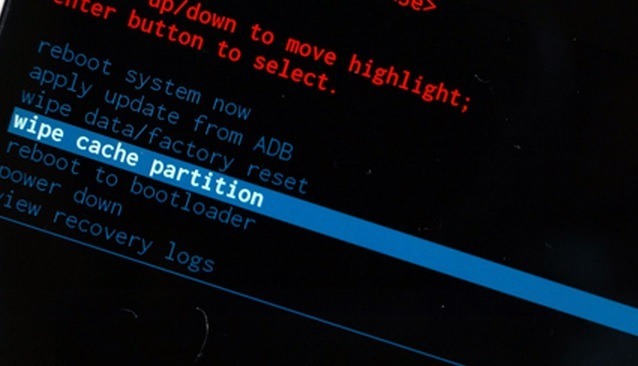 When you see the Android System Recovery, release the keys. Now, use Volume Down to navigate between the options, and you have to select the ‘Wipe Cache Partition’ option. Press Power Button to select it and then when it finishes, reboot the phone by using the power button to select ‘Reboot System Now’ option. If you took the backup, tap on ‘Reset Phone’, and after some time, you will see your fresh Android phone just like it was on its first day. This is the best fix if no other step works. Well, we tried sharing every step that users tried to fix the Process com.google.process.gapps has stopped error and if still, you cannot fix the error, let us know in the comments section so that we can help you. Stay Tuned. Related Topics:com.google.process.gapps has stoppedunfortunately the process com.google.process.gapps has stopped keeps popping up.